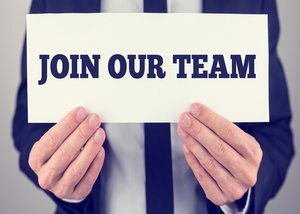 Marc Waring Ventures, the company behind the small business education website, FitSmallBusiness.com, is seeking a person knowledgeable about finance to join our editorial team. Founded in 2013, FitSmallbusiness.com helps over 500,000 visitors each month make better decisions about their business. We are a fast growing NYC-based startup, with offices right across the street from Grand Central. The financial writer will be an integral part of building the most comprehensive small business finance portal on the internet. We cover a wide range of topics related to small business finance from improving credit scores to how to qualify for a blanket commercial real estate mortgage. You don’t need to be an expert in every area from day one, but we expect the writer to be familiar with the big concepts and terminology of finance. Writing in depth comparison articles of financial product providers. Researching (including interviewing experts) and writing articles about specialty credit areas, such as trade finance, asset backed lending and commercial real estate. You are high energy, and passionate about helping small businesses. A starting salary between $40K and $60K depending on experience. A true meritocracy where you can grow as fast as your skills allow. Please fill out the following questionnaire. Please attach your resume at the end of the questionnaire.